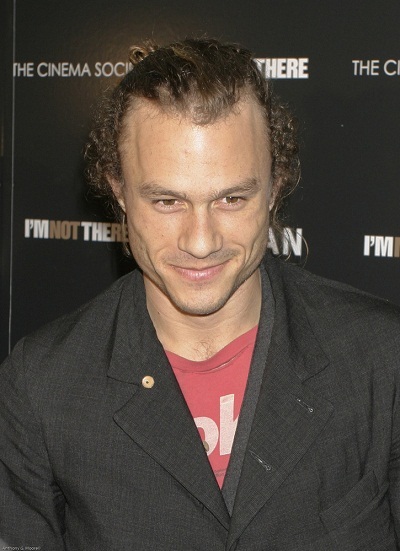 Heath Ledger was an Australian actor and director. He won the Academy Award for Best Supporting Actor for The Dark Knight (2008). 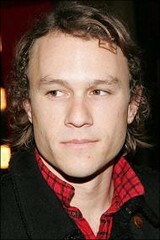 Heath was the son of Sally (Ramshaw) and Kim Ledger. His father’s family established and owned the Ledger Engineering Foundry. He had a daughter with his former partner, actress Michelle Williams. Heath’s ancestry was English, Irish, Scottish, Welsh, and, from his matrilineal great-great-grandmother, Sephardi Jewish. Heath was descended from the Solomons, a prominent family of early Jewish settlers in Australia. Through that line, Heath was a distant cousin of Mayor of Adelaide, Judah Moss Solomon, and Premier of South Australia, Vaiben Louis Solomon. Heath’s paternal grandfather was Colin Francis Ledger (the son of Joseph Francis “Frank” Ledger and Gladys Muriel Lyons). Colin was born in Perth, Western Australia. Sir Frank Ledger Charitable Trust is named after Heath’s great-grandfather. Frank was the son of Edson Ledger, who was born in Yorkshire, England, and of Annie Frances Sumner, who was born in Lincolnshire, England. Gladys was the daughter of Oliver Charles Lyons, who was of English and Welsh descent, and of Henrietta/Hetta Hatton, whose parents were English. Heath’s paternal grandmother was Esma Kathleen McFarlane (the daughter of William McFarlane and Isabelle Mary Urquhart). Esma was born in Northam, Western Australia. William was the son of William Stephen Hamilton McFarlane and Margaret Duplex, whose father was from Co. Kildare, Ireland. Isabelle was the daughter of Louis Frederick Urquhart, whose father was born in Woolwich, Kent, England, and of Kathleen (Kit) Conway, who was born in Clare, Ireland. Heath’s maternal grandfather was John Wharfedale Ramshaw (the son of Harry Wharfedale Ramshaw and Olive May Lang). Harry was the son of John Atkinson Ramshaw and Marie Louise Monk. Olive was the daughter of William George Lang and Georgiana/Georgianna Usher, whose parents were English. Heath’s maternal grandmother is Jacqueline “Jackie” Campbell (the daughter of Wallace Ross Campbell and Reta Gwen Jackman). Wallace was the son of James Campbell, who was born in Lanarkshire, Scotland, and of Jessie Mary McKay/Mackay, who was also of Scottish origin. Reta was the daughter of Clement Jackman and Lillian May Solomon. Heath’s matrilineal great-great-grandmother Lillian was Jewish, of both Ashkenazi and Sephardi background. She was the daughter of Joseph Samuel Solomon and Miriam Solomon, who were both from Jewish families from London, England. Joseph’s father, Heath’s four times great-grandfather, was Emanuel Solomon, a businessperson and politician in the early days of the Colony of South Australia. Heath’s matrilineal line can be traced back to Sarah Isaacs/Isaac, who was born, c. 1790, in Amsterdam, the Netherlands. Sarah was a Dutch Jew. Heath was a sixth cousin, three times removed, of British actor and comedian Peter Sellers. Heath’s maternal eight times great-grandparents, Daniel de David de Mendoza and Esther Lopez, were also Peter’s maternal five times great-grandparents. Daniel and Esther were Sephardi Jews. Through his Mendoza line, Heath was also a relative of boxer Daniel Mendoza, who was boxing champion of England in 1792–1795. they were sleeping pills bc he couldnt sleep.. have ome respect..
@athelya he was known to abuse heroin as well as other drugs. Always thought he might have had some distant aborigine, but it isn’t a terribly uncommon look for a European. Aboriginal features are very strong, unique and evident in a person. In other words, you can easily tell when somebody’s aboriginal. He does NOT look Aboriginal at all. Even if he did have Aboriginal roots, he could be 1/1000 Aboriginal, and that isn’t much – You won’t “see” it. At first glance I would say he would’ve been Serbian or Croatian. He does look a bit “ethnic”, but still European nonetheless. He did have a Mediterranean look. btw cletics have typically broad noses and face + a short stocky stature. Germanics are those with slim futures. I don’t think it is as simple as that. You will most likely find all different sorts of features in all groups. Whether someone is Celtic or Germanic doesn’t show up genetically. I disagree with your post saying certain groups have broad noses etc and others have slim features. You will find that populations have a range and both groups have people with broad features or slim features. One could post pictures but it is easy to disprove what you have said. What are you saying? Are you kidding?